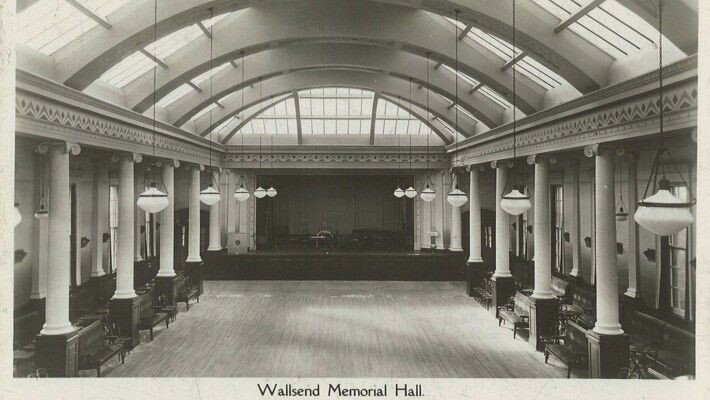 In 2012 I was asked by The Wallsend Memorial Hall and Peoples centre (The MEM) to write a new song to mark the re- opening of the building. When I was researching peoples stories of their times in the ballroom I fell in love with the space and I always knew that I would like to revisit the song and the space again. Funding for this project has come from Wallsend Action for Youth (WafY) and Arts Council England. We also have support from the MEM to which we are extremely grateful. We are working with local school groups, they will be accompanied by both professional and amateur dancers of all ages from the Wallsend area. There is also a wider opportunity for local people to be involved in the film; to be in the background around the hall and also to learn a short piece of dance that will be filmed en masse. 1. Dancers - No dance experience required. The climax of the choreographed scenes is a ‘mass movement’ section where we would like as many people as possible to perform a simple movement. Teaching videos are available above. There will be an opportunity to learn from Alicia on Thursday 22nd November, details below. 2. Extras - No prior experience necessary. The MEM Ballroom is a large space. We are attempting to create a party/celebratory atmosphere in the room, which will require a lot of people. We would invite you to be part of this unique experience and we will endeavour to make it as fun as possible! However this is a professional film set so some hanging around is to be expected. This option will not require any further time commitment. Laura Lindow - Writer who has created the story of Margot and Mim which will form the basis of the film. The work in the schools will happen in the Autumn term of the new academic year with filming taking place in November. Following the work there will be a community screening and celebratory evening planned at the MEM. Please arrive at The MEM AT 2.30pm to be ready to start at 3.00pm. Dress code is timeless and sparkly! Screening: Thursday 13th December at The MEM 6-8pm featuring a special performance from Katie Doherty and The Navigators.